I am always looking for ways to get myself more organized in my classroom. While my room is definitely looking much better after taking a whole year of organizing different physical areas, there was still one big area for me to tackle - TECHNOLOGY! I follow a lot of grade level groups on Facebook and in one of the groups, someone suggested Symbaloo. This is a free site where you can store websites and videos by categories. I don't necessarily need help with organizing my websites. To be honest, my go to ones are Teachers Pay Teachers and Pinterest when I am looking for new ideas. The video part, however, did appeal to me. In Symbaloo, you can create different lists and link your favorite videos from YouTube. This was a HUGE saver for me. Every time I wanted to show a video in my room, I would have to open it up before school, copy the link, and show it in Safe Share so that I would never get the ads. Every time I decided to wing it and show the video straight from YouTube, it seemed like I would get bra commercials or something just as fun for my third graders. You can embed the videos into Symbaloo so when you show them in class, you get the video itself, not the ads. Talk about a game changer! I went a little crazy creating some lists for myself. I have a list for Kid President Videos, Schoolhouse Rocks, stories from our reading series, etc. Throughout the school year, I have added seasonal videos onto a new list. Now they are ready to go in the future. Side Note: Having these videos ready also helps for those extra five minutes that seem to happen from time to time. My favorite part of Symbaloo is that it is FREE! That's my favorite price! You might be saying that sounds great but too complicated to use. Let me help you with that. I made a video (my first every) that has step-by-step instructions on how to upload a video from YouTube and embed it onto Symbaloo. All you need to do is sign up for a free account. Then watch my video to see how to do this. I hope this helps you get organized! 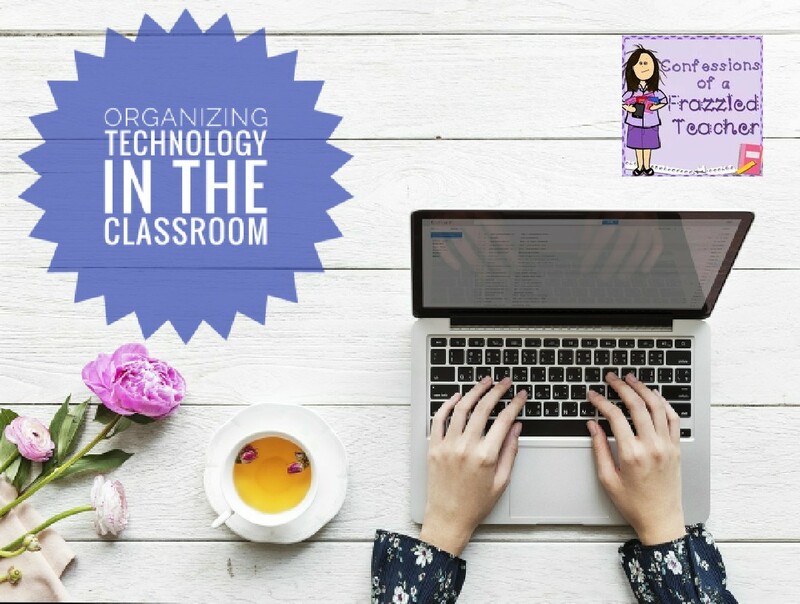 How do you organize technology in your classroom?